Longleaf in Vinings is a unique community of townhomes located near Vinings off South Atlanta Road and North Church Lane just inside I-285. Tucked back in a secluded and wooded area near the highway, this community offers a wide range of floorplans. 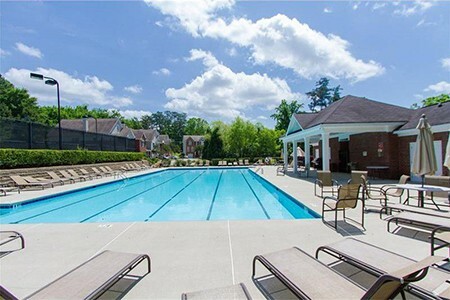 The community features a gated entry, swimming pool with cabana, and 4 tennis courts.